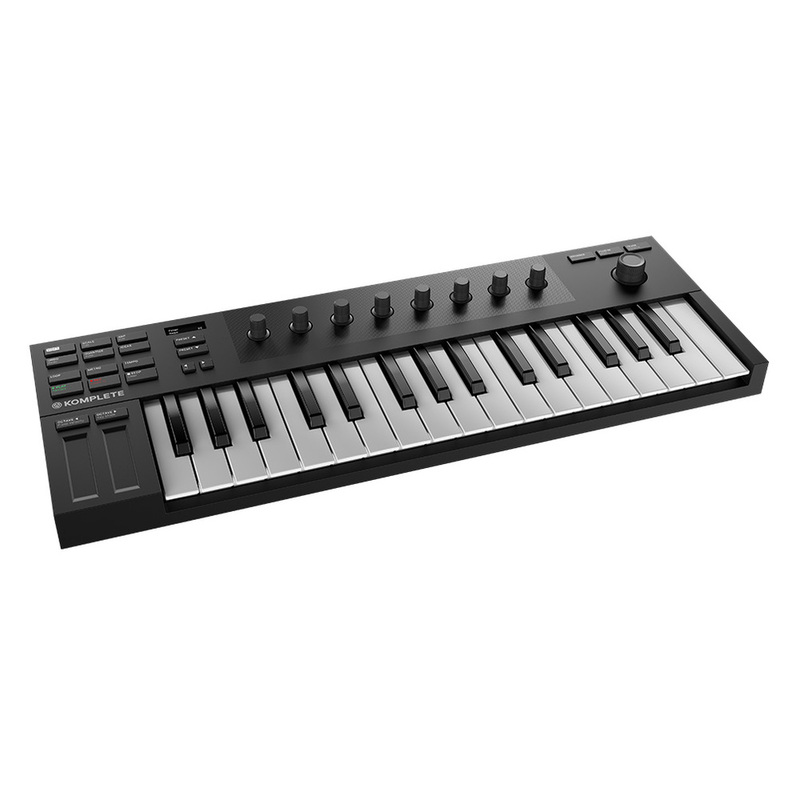 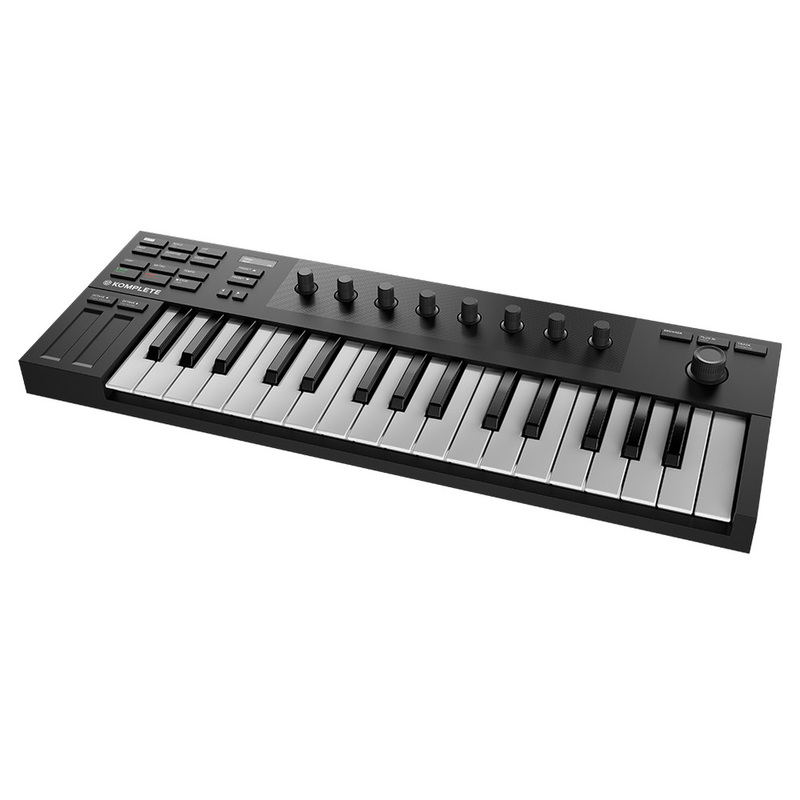 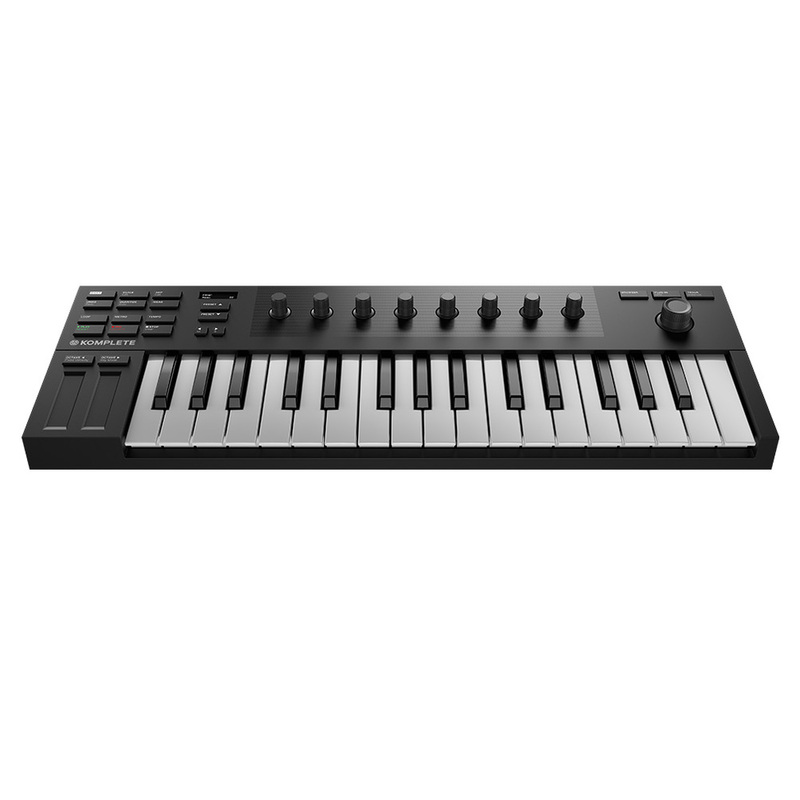 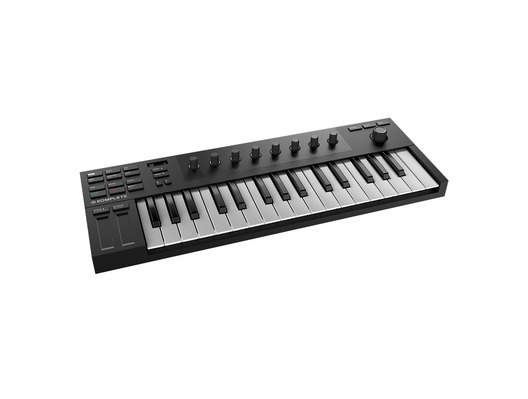 This is the Native Instruments Komplete Kontrol M32; a comprehensive keyboard controller that's small in size but not in capability. 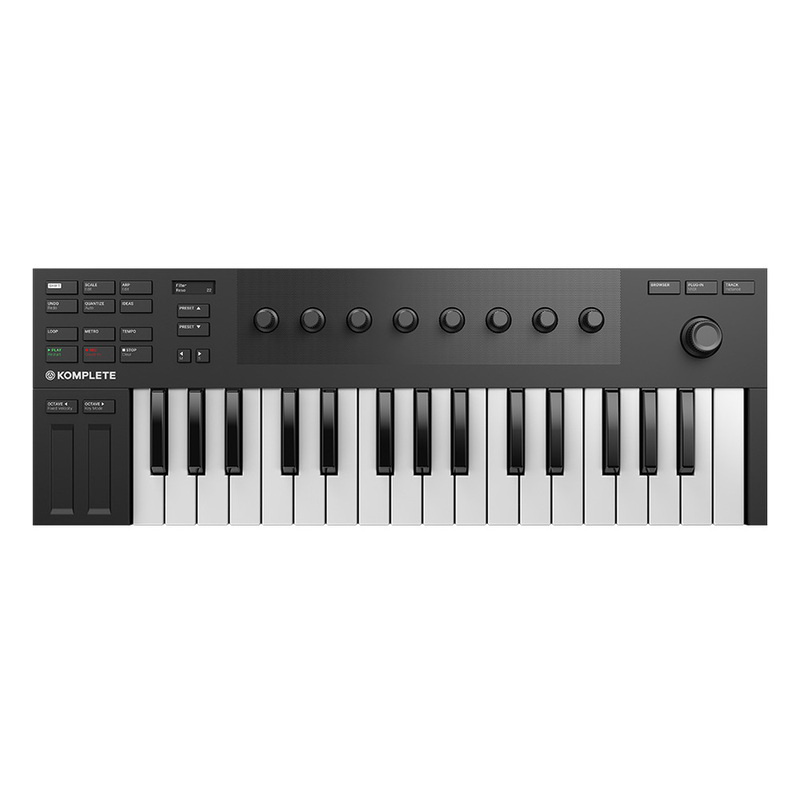 This fantastic piece of kit has tonnes of features packed into it, including two touch-strips and 4-directional push-encoder for a super-intuitive feel and navigation; Ableton Live Lite, MASCHINE Essentials plus loads more software; and eight touch-sensitive control knobs - altogether giving you huge creative freedom. 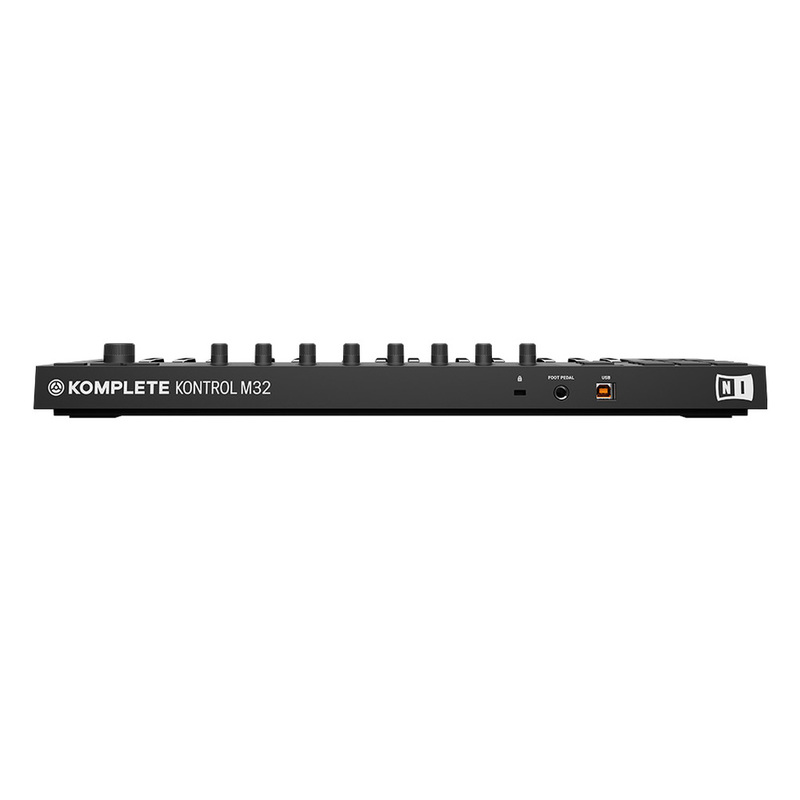 The Native Instruments Komplete Kontrol M32 is an excellent investment for any professional or aspiring DJ.